The greater Lake City area has a rich economic and cultural history. Strategically located in the Pee Dee region on the coastal plains of Florence County, Lake City has the advantages of small town life with the convenience of major metropolitan centers just a short drive away. Myrtle Beach, Charleston and Columbia are all within an hour and half from our downtown. Lake City was founded at a crossroads by farmers and developed from an agriculture based economy. Throughout the years Lake City has undergone many social and economic transformations. The collapse of the textile industry in the 1990's took a heavy toll on our region. It was a difficult time for all of South Carolina. Lake City is once again transforming and rebuilding. The revitalization efforts of our citizens and civic organizations are second to none. We are a community united and dedicated to making our world a better place. Lake City’s economy is now driven by the manufacturing industry. We have numerous corporate entities producing everything from plastics to biochemical products to canned foods. Our agricultural industry continues to be the backbone of our economy as it always has been. We are moving forward with high tech jobs but we are also preserving our history and lifestyle in the process. 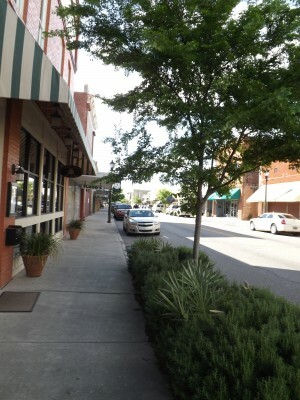 Lake City is renowned for our friendly people, laid back lifestyle and southern hospitality. We are blessed with a pristine countryside. Old growth cypress swamps, scenic rivers and wide open spaces are all at our front door. Lake City is a classic southern community and a wonderful place to live and work. There are many cultural activities available on a constant basis. From concerts to plays there is always something happening in town. Lake City currently has three major annual festivals that attract people from all over the world to our beautiful city. They are the "South Carolina Farmers Festival” in June, the “Tobacco Festival “in September, and "Artfields - An Epic Southern Artfest Competition and Celebration" in April. Each one of these festivals is different and unique but all provide great entertainment and are loads of fun. At the Greater Lake City Chamber of Commerce, we are entering our second century of service for our people. We are as passionate now as we were the day we were founded. We invite everyone to come to our city. Lake City is a model community we are all so proud of. You don’t have to take our word for it, come down and see for yourself. Lake City is the greatest Little City in the World!